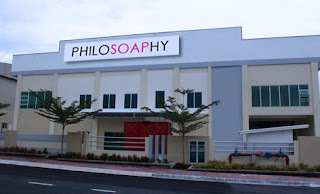 Founded in 2010, PHILOSOAPHY ENTERPRISE, is a modern enterprise, specializes in the production of various consumer products, such as transparent soap base, white soap base / opaque soap base, crystal clear genuine soap, handmade soap, crystal soap, perfumed soap, etc., which are distributed all over the world. Our main product, the crystal clear transparent soap base is carefully made from the imported pure natural vegetable fatty acid, glycerol, etc, by adopting the international advanced technology. 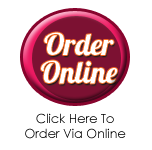 The products are made from the carefully selected materials, with high transparency, even quality, reasonable price, and various specifications and models for your choice. Because both of our technology and quality lie in the top level of the industry, our products have won us an extremely high appraisal and honor from the customers and consumers worldwide since they were created. Since its establishment, PHILOSOAPHY has accumulated valuable experience and created a set of effective management system. From warehouse to workshop and grassroots to top management level, it is operating and working systematically. The company respects and stresses on talents, tries best to enhance overall quality of employees, builds team work spirit and pays equal attention to material progress and cultural progress. On holidays, it has increased emotional communication and cooperate spirit among employees through sponsoring trips and dinner parties! Besides, it offers welfares (such as labor security) to employees in order to ensure their safety and health. It has established dormitories for them, too. Philosoaphy person is not afraid of hard work and being tired, which is the major source of Philosoaphy achievements. In the business philosophy of “people-oriented, practical, innovative”, we continuously introduce and adopt modern achievements in advanced science and technology and try our best to increase production efficiency, reduce production cost, improve product quality and offer overall solutions. Sincerely hope to cooperate with you for commonly bright future!